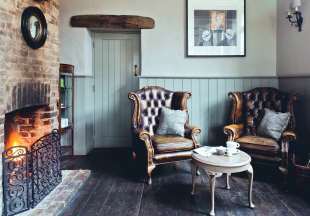 Situated in Bishop’s Waltham, a small town on the River Hamble, this charming historic inn boasts elegant en-suite guest rooms, roaring open fires and a bar serving real ales, wines and pub favourites on the menu. Situated in beautiful countryside south of Newbury and recently refurbished, the Jack Russell offers a warm welcome, cosy bar, restaurant and comfortable bedrooms. Built in 1810, this smart Georgian inn offers contemporary comforts with all the charm and character of a period inn. AA 4 Star Inn, AA Rosette for food. 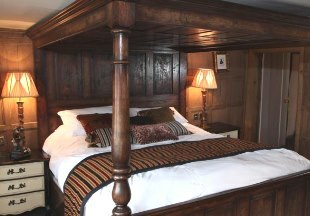 Welcome to the Bel and Dragon, a timeless country inn in the village of Kingsclere. 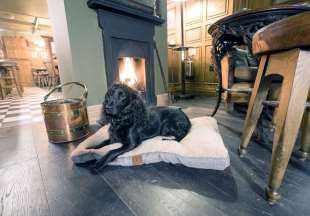 This cosy and classic historic inn offers 9 en-suite guest rooms, bar, restaurant and terrace. 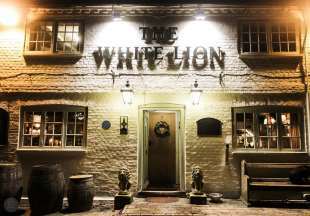 Recently refurbished, this stylish Hampshire inn boasts an award winning restaurant offering British and European cuisine and a bar with open fire serving real ales. 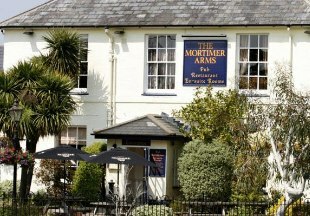 The inn is perfectly situated, 3 miles from Winchester and 4.5 miles from the M3. AA 4 Star Inn. 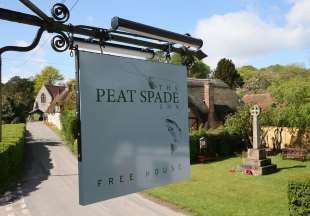 The historic Peat Spade Inn is full of character and is situated in the delightful village of Longstock, in the heart of the Test Valley. AA 4 Star Inn, AA Rosette for food. This beautiful thatched inn has recently opened and offers 14 stunning and stylish boutique bedrooms. Near Southampton and on the edge of the New Forest, The Pilgrim Inn has open fires in winter and lovely gardens to enjoy in summer. This period inn has been given a crisp, contemporary feel whilst retaining plenty of historic character. The inn boasts a popular bar, restaurant and pretty courtyard garden. AA 4 Star Inn, AA Rosette for food. This Victorian building has been refurbished combining a unique blend of old world charm and modern sophistication. 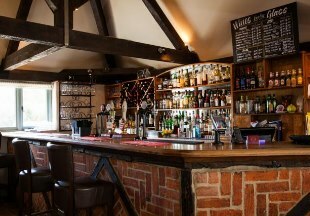 Our excellent restaurant and bar serve pub lunches, afternoon tea and dinner. After a long day exploring the beautiful Hampshire countryside, sink into the comfort of one of our en-suite rooms. We provide the perfect location for a weekend in the country with Paultons Park Family Theme Park and the New Forest National Park on our doorstep. 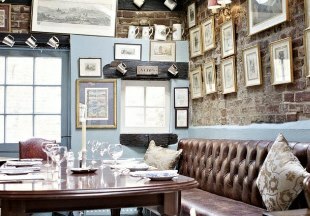 The Cromwell Arms offers fantastic food, wines chosen by an expert sommelier and luxury rooms. This gastropub is set in pretty gardens in the old Hampshire market town of Romsey with the River Test just a short walk away. Our food ranges from British classics to more creative dishes, with wines matched to the food. Our stylish en-suite rooms enjoy countryside views. Southampton 15 minutes drive. AA 4 Star Restaurant with Rooms. This traditional, 17th century country inn is perfectly situated in the picturesque Meon Valley. 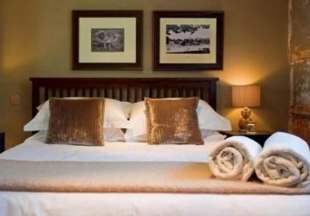 With just two comfortable and stylish en-suite guest rooms, you are sure of a warm welcome. Dogs and walkers welcome. 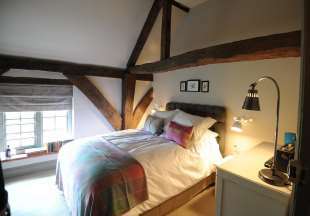 Re-opened after an extensive refurbishment, the Grade I listed Woolpack Inn offers eight newly refurbished, luxurious en-suite bedrooms with broadband and mini-bar. 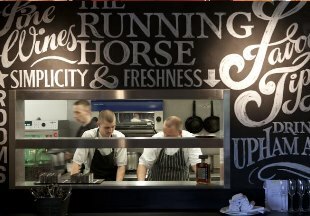 Seasonal, locally sourced food is available 7 days a week in our traditional bar area, dining room or heated outside area. We are within easy reach of Alresford, Basingstoke, Winchester and Southampton. 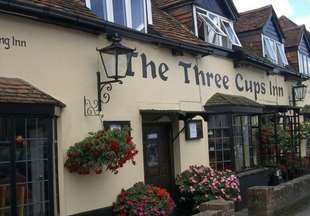 Welcome to the 15th century Three Cups Inn, full of charm and character. Enjoy a meal in the cosy interior of the inn or dine al fresco in the pretty garden if the weather is kind. AA 4 Star Inn, AA Rosette for food. 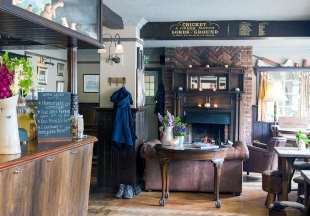 Named after Thomas Lord, the founder of Lord’s Cricket Ground, this lovingly restored inn features cricketing memorabilia in its cosy bar. AA Rosette for food. 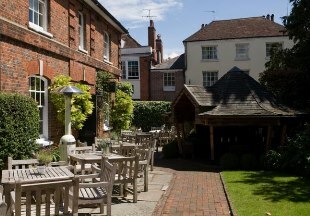 Tucked away between Winchester Cathedral and College you will find the Wykeham Arms. This unique 18th century inn retains many original features and oozes charm and character. Recently refurbished, the individually-designed, luxury en-suite bedrooms all have period features and elegant decor. 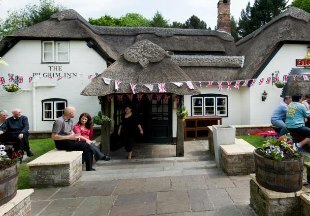 The inn enjoys an excellent reputation for its warm ambiance, great food, fine wines, log fires and local ales. The original Hotel du Vin is housed in the fine architecture of one of central Winchester's most important Georgian buildings, dating back to 1715. Our smallest luxury hotel, with just 24 bedrooms, it has an intimate ambience emphasised by the cosy Bistro and Champagne Bar and pretty walled garden. Hampshire is also home to the ancient hunting ground of the New Forest, where in 1100 King William II (William Rufus) was shot by an arrow. History is unclear whether this was an accident or a deliberate act! The ports of Southampton and Portsmouth and the market towns of Romsey and Andover are also to be found here. A perfect destination for holidays and short breaks, take your pick from our great selection of hotels and inns in Hampshire. "Winchester is King Alfred the Great's ancient capital. Visit Jane Austen's grave in the impressive cathedral, then wander round the historic centre and the pretty riverside walks. Stay at the 18th century Wykeham Arms, oozing with charm and original features and just five minutes walk from the centre. Or chill out in the pretty walled garden at the Hotel du Vin, housed in a stunning Georgian building"
Hampshire is bordered by Dorset, Wiltshire, Berkshire, Surrey, West Sussex and the Isle of Wight, and includes the New Forest within its boundaries. 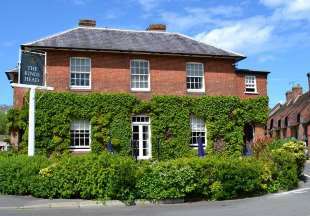 If you want to widen your search, why not browse through our selection of hotels and inns in Dorset, Wiltshire, Berkshire, Surrey, West Sussex and inns on the Isle of Wight.